I'm sure you have lots of questions! Once you book a session, you will have access to my session prep guide that will go over more information and provide tips and information to prepare for your session, including what to wear! Of course you can always contact me! I always suggest booking 2-3 months in advance, you can book earlier for newborn, maternity and any sessions between September and December since that's the busiest time of year for all sessions! Contact me here to book your session! Session prices vary and can be viewed on the session and pricing page. Session fees cover the photographer's time for the session and include a select number of digital images with a print release. Additional products, including digital images are available after you view your gallery. Please view the Sessions/Pricing pages for more info or contact me. Where will my outdoor session take place? I will gather more info from you after booking so we can pick a location. 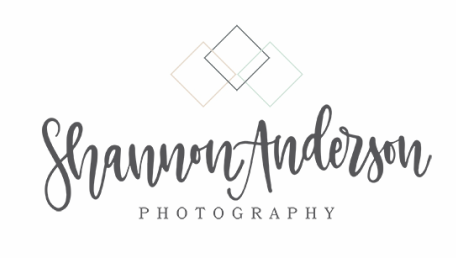 I travel 25 miles around my studio in Mooresville, so your session can take place in Mooresville, Davidson, Cornelius, Huntersville, Troutman or Statesville. I will travel further for an additional fee. I typically set the location a week or two before your session since outdoor locations are always changing! If you have any questions, please contact me! Why do I have to book before my baby is born? You should ideally book your newborn session in your second trimester. I only accept a certain number of newborns per month or time frame as babies are on their own schedule and rarely born on their due date, even c-sections are not a guarantee! Since babies can't guarantee when they will be born, I cannot guarantee my availability after all openings are filled...you never know if the babies will all be born at the same time! Click here to read more on this topic on my blog! If you have any questions, please contact me! My kids won't last long, what session should I book? I get this question a lot and a lot of people think short sessions are the way to go and for many they are. But a a longer session allows for more time so there's less stress which allows time for breaks that kids can need. You know your family and children best, so go with your gut! Mini sessions are offered a 2-3 times a year and are at a set location. Be sure to sign up for emails or join my Facebook group to be the first to hear about them! If you have any questions, please contact me! What types of images will be in my gallery? A picture is worth a thousand words, so please be sure to look at my portfolio to get a good idea of what you will get from your session. For children and family sessions, I like to capture in the moment and in natural settings because I find it makes everyone the most comfortable. I will take pictures at an outdoor location (such as a park or nature preserve) or my home studio for the little ones. With everyone relaxed, I can really get great images of you and your loved ones just being yourselves. If needed, I will provide some direction to get group shots, or to help with poses. I try and avoid the "look at the camera and smile" poses as I find it's harder to get true smiles and emotion in those images. For newborns, babies and children in the studio they will be more posed as we are keeping them on a backdrop. If you have any questions, please contact me! Do I get a CD with images so I can print them myself? CDs are becoming a thing of the past. Digital images are available in high resolution and delivered via digital download or USB. I cannot guarantee image quality when not printed though me and my professional labs. If you do not print with me, I suggest printing with mpix.com. If you have any questions, please contact me! I picked my date for my session, now what? Let's set up your session! I love to chat with all my clients before booking. We can do this via email, text, phone or meet in person. From there, I prefer to communicate via email because I'm human and can forget things if it's not written down! Once you are booked, I will be in contact via email with some "paperwork" to complete online and will send you an online invoice for your session fee to hold your session. Please note your session fee varies by session and does not include any prints, products or digital images. You can contact me here! I just had my baby, now what? Always a popular question! I will provide some tips depending on your session as I keep newborn sessions matching with family in solid, neutral colors to keep focus on baby. For family sessions, we will coordinate outfits depending on the season and what's in style! I have maternity dresses and clothing for babies under age 12 months in my studio for client use. I am always here to help you and look over what you have picked out and help accessorize and pull all the family member's outfits together! If you have any questions, please contact me! Do I need to bring anything for the newborn session? ​Just need you and baby and a food source to show up! I keep a variety of outfits, wraps, headbands, hats, etc for newborns. I will go into more detail about newborn sessions in the newborn session prep guide after you book your newborn session! If you have any questions, please contact me! As always, if you have any questions, please contact me. I am always happy to help and answer any questions you may have, odds are someone has asked them before, so don't be shy!